Dr. Chris Stevenson, a lecturer in Quantitative Sedimentology at the University's School of Earth Sciences, was part of the team that revisited the area in order to reconstruct the avalanche. 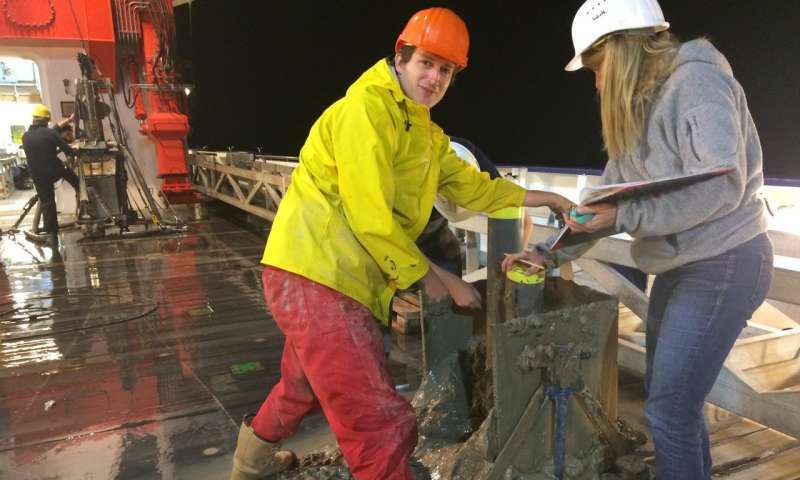 Dr. Stevenson, who was chief sedimentologist on the research cruise, said: "It is awe inspiring when you piece together how big and powerful this avalanche was: 230 m thick, which is about the height of Canary Wharf in London, moving at 40 mph, and highly concentrated with fist-sized boulders, gravel, sand and mud. It would not have been a good place to be at the time". The paper `Reconstructing the sediment concentration of a giant submarine gravity flow' is published in Nature Communications.